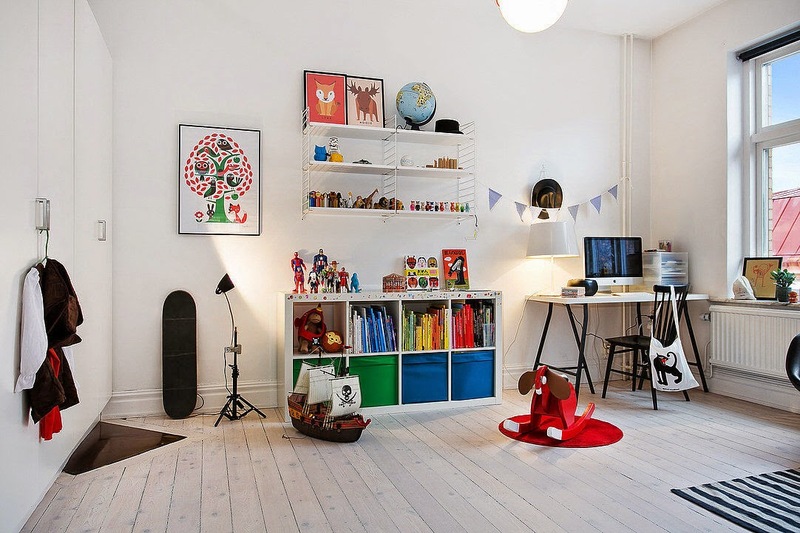 A few items I recognise: String shelves, Tripp Trapp chair, Eames side chair and Elihu the Elephant clock. 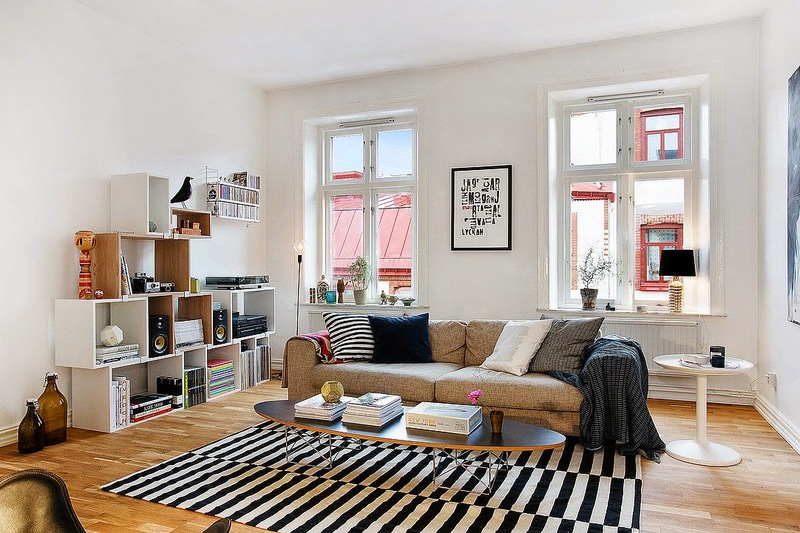 Muuto shelving, Eames house bird, IKEA striped Stockholm rug. 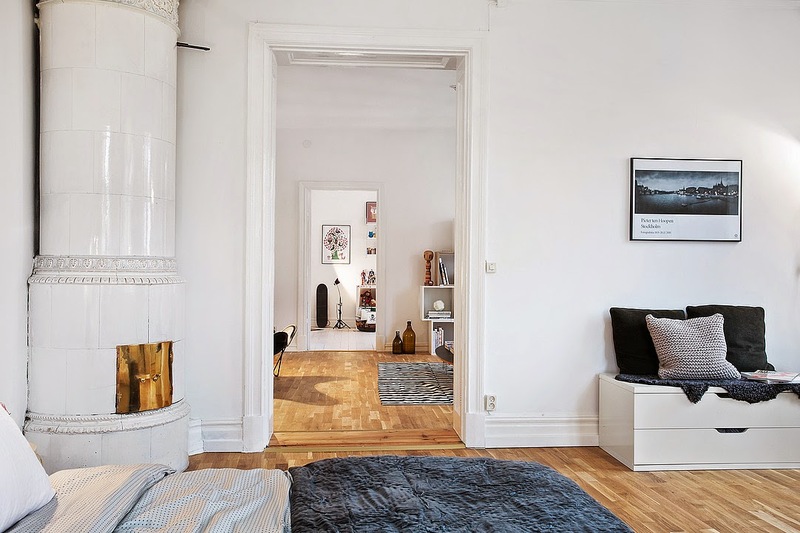 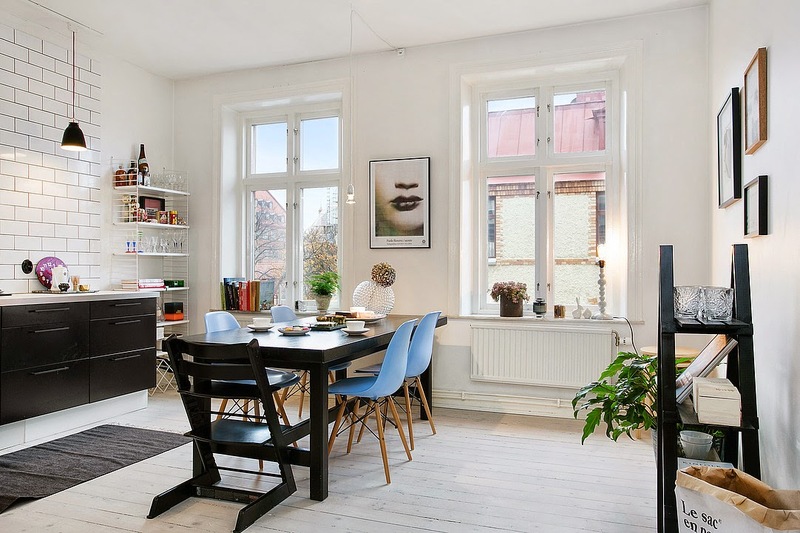 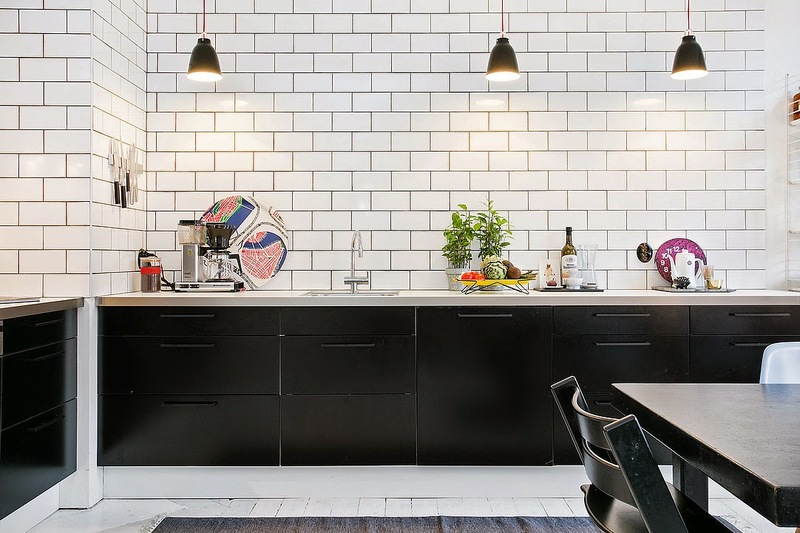 One hundred and three Scandinavian inspired black and white home tours here, you're welcome!